Aloe vera is extensively used in beauty products and for good reason. It's got antiviral and antibacterial properties, and the ability to help treat everything from constipation to diabetes. The green-cactus looking plant that sits out in your garden isn't just a plant with its roots in folklore, it's the crux of a million dollar industry that extends from beauty creams to healthy juices and diet supplements. Over time, aloe vera has seamlessly integrated itself into everything we use. But, what makes this miracle plant so distinguishable? There are some incredible benefits of aloe vera. So, keep reading to know what we are talking about. The aloe vera plant is about one or two feet tall with prickly and bitter leaves, which act as a defence to keep animals and insects from feeding on the plant. The leaves hold a gooey translucent gel, also extremely bitter, and known all over the world for it's unbelievable healing properties.This translucent gel is made up of around 96% water, some organic and inorganic compounds, a type of protein which contains 18 of the 20 amino acids found in the body and lastly, Vitamin A, B, C and E. Another part of the aloe vera plant which is used is the 'sap', a yellow-coloured liquid stuck to the skin of the plant from the inside. When dried and purified, the powdered aloe is often used as a laxative, though it's effectiveness is questionable. One of the most crucial elements found in aloe vera gel is a complex carbohydrate known as acemannan. It allows nutrients to reach the cells, nourish them and at the same time relieve them of toxins.Ayurveda, Chinese herbal medicine and British herbal medicine have all advocated aloe vera as a healer, when applied or consumed orally. Let's go over some of its most prominent benefits. There are many aloe vera uses, like aloe vera for face and skin. 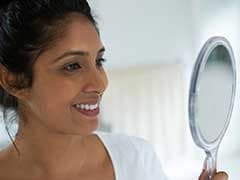 Bill C. Coats writes, "Since the skin needs nutrition of its own, Aloe Vera, when formulated into a properly designed personal care regimen, can treat, exfoliate, restore, reveal and provide constant, impressive nutrition to the human skin." And we're about to show just how you can do that. Once you move past the slimey texture of natural aloe vera gel and apply it to your skin, you'll notice how soothing and cooling it is. 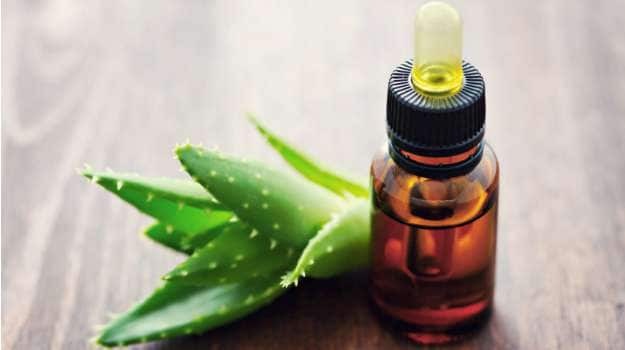 And it's for these exact reasons that Ayurveda refers to aloe vera as the miracle herb that can be used to treat wounds, minor cuts, dry skin and severe burns. 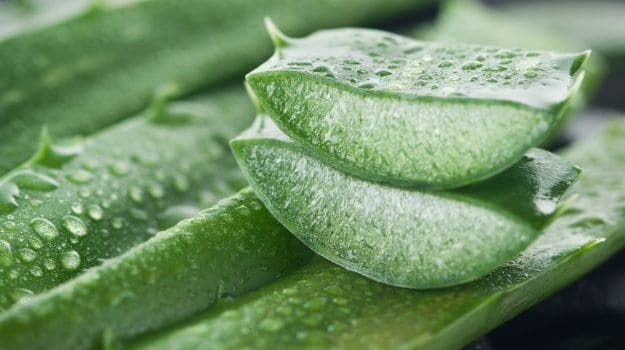 (Also Read: 7 Amazing Reasons To Drink Aloe Vera Juice Everyday) Skin Care: Aloe vera has multiple health benefits for skin, hair and weight-loss. Dr. Deepali Bhardwaj, Delhi-based dermatologist says, "Aloe vera is rich in vitamin C, E and beta carotene which gives it its nourishing and anti-ageing qualities. It can moisturise the skin without making it greasy, which makes it a great buy for those with oily skin." She also suggests drinking aloe vera juice early in the morning on an empty stomach because it improves digestion and cures any kind of stomach trouble. And, you know that if you've got a healthy inside, it'll give you a glowing outside which in this case is radiant skin. Aloe vera or aloe vera-based products can be used in the winter as well as in the summer and by people of all skin types. Aloe vera treats the cells on the epithelial level of the skin which is why it's recommended by dermatologists to remove tan, treat sunburn and stretch marks. 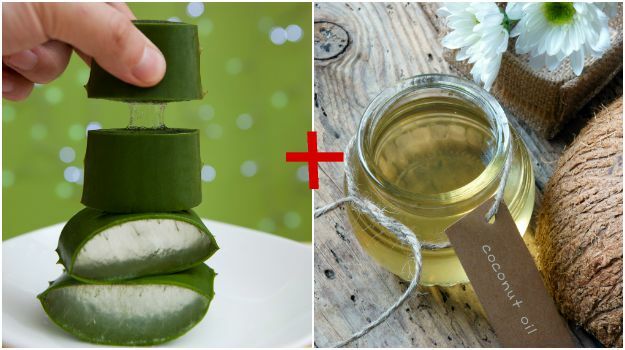 One way to use aloe vera is to apply the gel directly, another would be to make a pack using aloe vera along with some other special ingredients from your kitchen. So, now you know that aloe vera for face is like a magical gel that has an amazing impact on your skin. 1. Aloe vera for dry skin - Take some aloe vera, a pinch of turmeric, a teaspoon of honey, a teaspoon of milk and a few drops of rose water. Blend this mix till you get a paste. Apply it and leave in for about 20 minutes or so. 2. Aloe vera scrub - Grab half a cup of fresh aloe vera gel, a cup of sugar and two tablespoons of lemon juice. The sugar will help exfoliate and scrub off dead skin, the aloe vera will deep clean the skin and the lemon will help fade out scars and tan. Stir the three ingredients together and use it to scrub both face and body. 3. 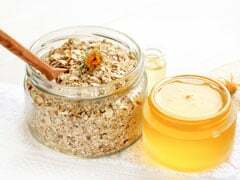 Aloe vera for acne - Take some aloe vera gel, blended walnuts with a flour like consistency and honey. Aloe vera's healing properties coupled with the anti-oxidants from honey will leave you with smooth and clear skin. 4. 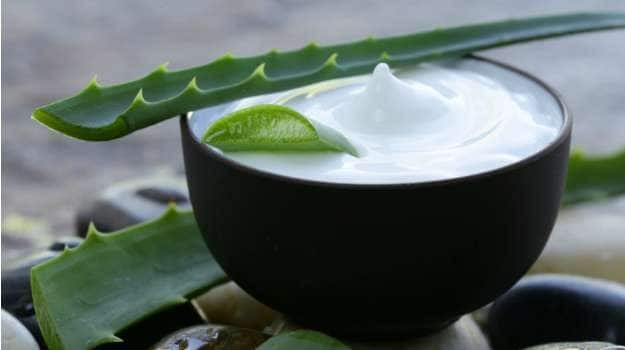 Aloe vera for sensitive skin - Grab some aloe vera gel, cucumber juice, yogurt and rose oil and blend them to a paste. Apply and leave for around 20 minutes, then rinse it off. It's not just the beauty industry that's obsessing over the benefits of aloe vera, the health industry can't stop raving about it either. Known as ghritkumari in Hindi, the plant has millions of takers around the world and is used in the form of gels, cream and juices, due to the aloe vera's wondrous health benefits. According to Britt Brandon, the author of The Everything Guide to Aloe Vera for Health, "Aloe vera can improve the effectiveness of your diet and maximise your weight loss potential. With ample amounts of vitamins and minerals that contribute to weight-loss, as well as amino acids, enzymes and sterols, aloe vera ensures your diet is not only supportive of weight loss, but also improves the body's absorption and utilisation, improving overall health as well as weight loss success." Weight Loss: There are countless studies that prove how effective aloe vera is for weight-loss. Aloe vera is used in a wide range of health products, like diet supplements, juices etc. It's rich in anti-oxidants which means it helps cut out free radicals in the body and boost your immunity. It's also a good source of protein so it helps muscle development and gives you copious amounts of energy. There are countless studies that prove how effective aloe vera is for weight loss, but it should be consumed regularly and over a long period of time for it to really work. How to drink aloe vera juice: The natural taste of aloe vera is so bitter that you wouldn't think of consuming it as is. Take the gel, dice it into small pieces and blend. Now. mix a bit of this with some other fruit or vegetable juice that's preferably sweet. You can also use the leaves of aloe vera, blend them, strain and drink. If you find it too bitter then mix it up with honey and drink. You can also add some lemon to this mix. Aloe vera contains something called proteolytic enzymes which repairs dead skin cells on the scalp. It also acts as a great conditioner and leaves your hair all smooth and shiny. It promotes hair growth, prevents itching on the scalp, reduces dandruff and conditions your hair. Diane Gage, author of Aloe Vera: Nature's Soothing Healer says, "Keratin, the primary protein of hair, consists of amino acids, oxygen, carbon, and small amounts of hydrogen, nitrogen, and sulphur. Aloe vera has a chemical make up similar to that of keratin and it rejuvenates the hair with its own nutrients, giving it more elasticity and preventing breakage." The perfect pack: Here's a delicious hair mask that you should apply once a week or every fortnight. Hair Fall: The Perfect hair mask using aloe vera. CommentsMix equal quantities of aloe vera juice and extra virgin coconut oil. Apply and leave it in for as long as possible for strong, smooth and bouncy hair. Aloe vera is a natural ingredient that brings with it a treasure trove of benefits. The best way to enjoy it, without the fear of added chemicals, is to grow it in your own kitchen garden or balcony. It takes very little to look after an aloe vera plant, but the benefits you get in return are many. So go ahead, invent your time and money into a healthier you today!